To say I’m ‘in love’ with todays post might sound a bit cheesy, but being the first day of love month and Valentine’s only two weeks away I can’t lie! 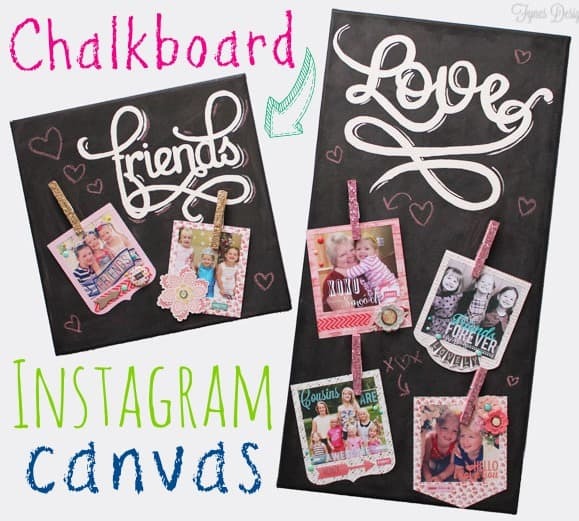 I love crafts and I love Instagram, so when they collide on an Instagram Chalkboard Canvas, what’s a girl to say! 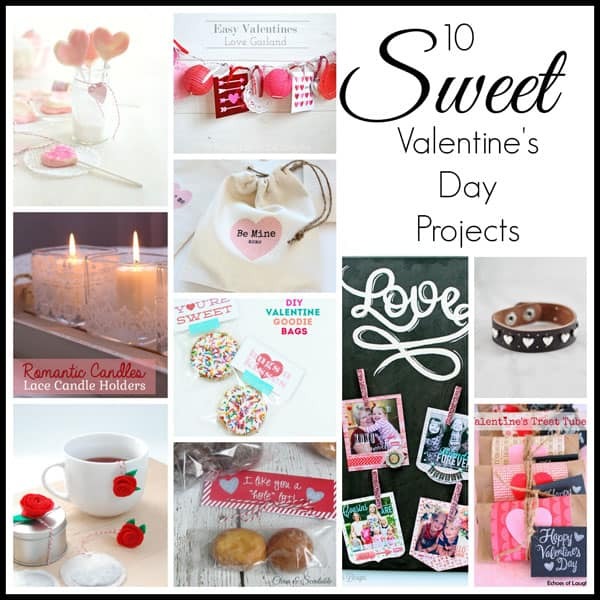 Plus, I’ve teamed up with 9 other ah-mazing Canadian bloggers to bring you a fun Valentine hop! You’re not going to want to miss a project! I’m always looking for fun decorations for Valentine’s Day, and what better than a cute way to display some of my favourite instasnaps?! 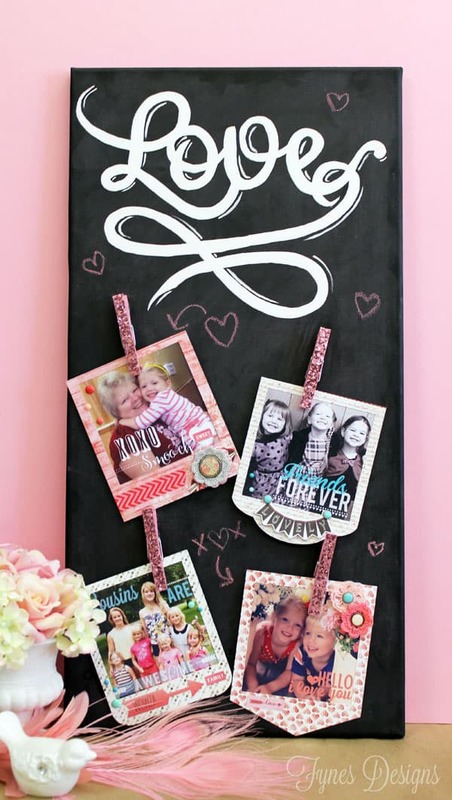 Print out some of your cuties, slap them into a fun polaroid frame to use on this easy pin-board idea! I love that I painted the background of the canvas black so I can write a fun message with chalk! 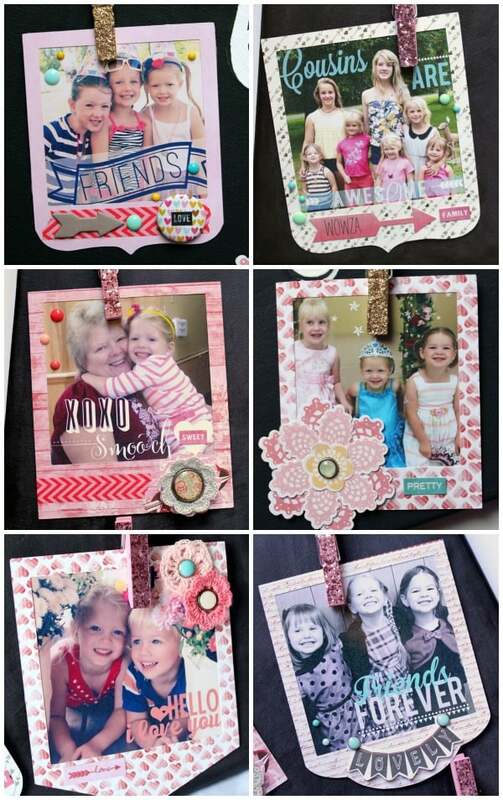 I cut the polaroid photo frames from Authentique’s “smitten” pattern paper line, (for you Silhouette users I’m including the file for you at the end of the post) and some cutesy embellies I had in my stash. The secret to getting the clothespins to stick to the canvas is E6000. If you haven’t tried this glue, Go. Get. Some. NOW! It has insane hold! 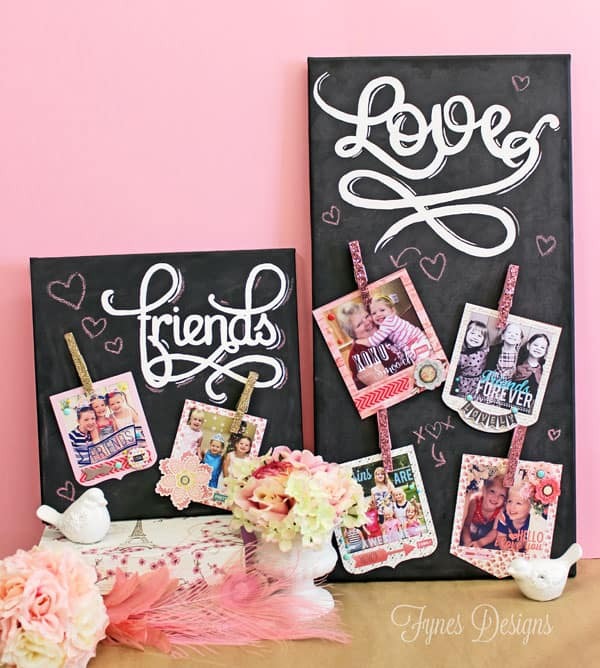 These Chalkboard photo canvases will probably stick around long after Valentine’s Day is over, they’re just too cute! Are you a local lady, guess what? I’m teaching how to make these at Michaels New Minas, I’d love to teach you how! Right click the image to save the file. Merge into Silhouette studio and use the trace function to cut. You have to see all the awesome-sauce that my Canadian posse has to share, these projects are so beautiful, you’re going to feel the love radiating from your computer screen! Please hop along and share the love to some of my favourite Canadian gals! Wanna see some more of my fav instagrams? I’d love to connect with you! Seriously Virginia, is there anything you can’t do? The entire setup is AMAZING!! You’re so very talented! This is truly so great Virginia!! I can see why you are in love with it! I love Instagram so much too, so I really need to start printing off some of the pictures and putting them on display…love this!! I love this, Virginia! I love Instagram, but haven’t ever printed any of the photos! I must do that! You’re right, I love today’s post! I’m one of the odd ones who hasn’t jumped on the instagram band wagon yet, but it’s super tempting after seeing this! Adorable kids by the way! Oh my goodness, what are you waiting for!!! LOVE it!! These are super cute! I haven’t tried printing from Instagram yet but this is definitely inspiring. I’m really Polaroids are making a come back in any way shape of form. Especially how great they’ve integrated with Instagram. My girls would love these! I would love to make a trip down to New Minas – where can I get more details????? hey Lori, You can call the store for details, I’d LOVE to see you there! LOVE this idea-it would be so cute to change out for all the holidays! 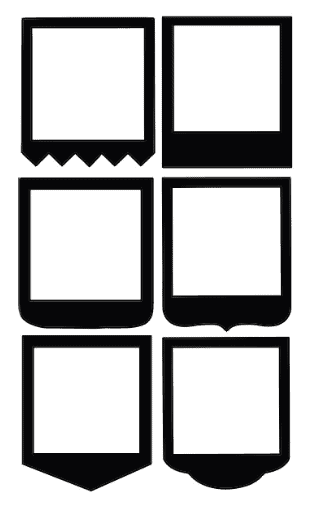 How do you print your instagram photos? Hi April, I’ve actually only printed from home by using the pic frame App and making them 4×4. I hear Pickersnicky and origami are really good though! Thanks for stopping by! 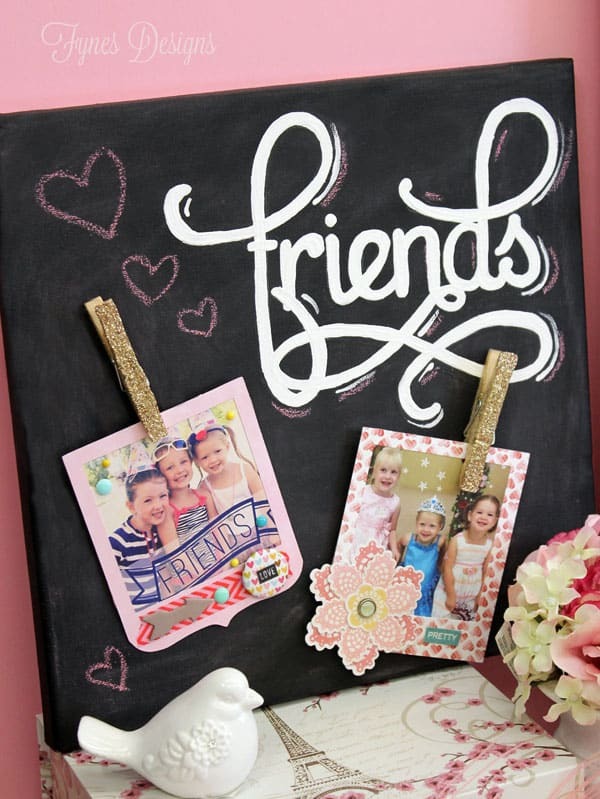 I would use chalkboard paint on a metal tray, then put magnets on the backs of the clothes pins.